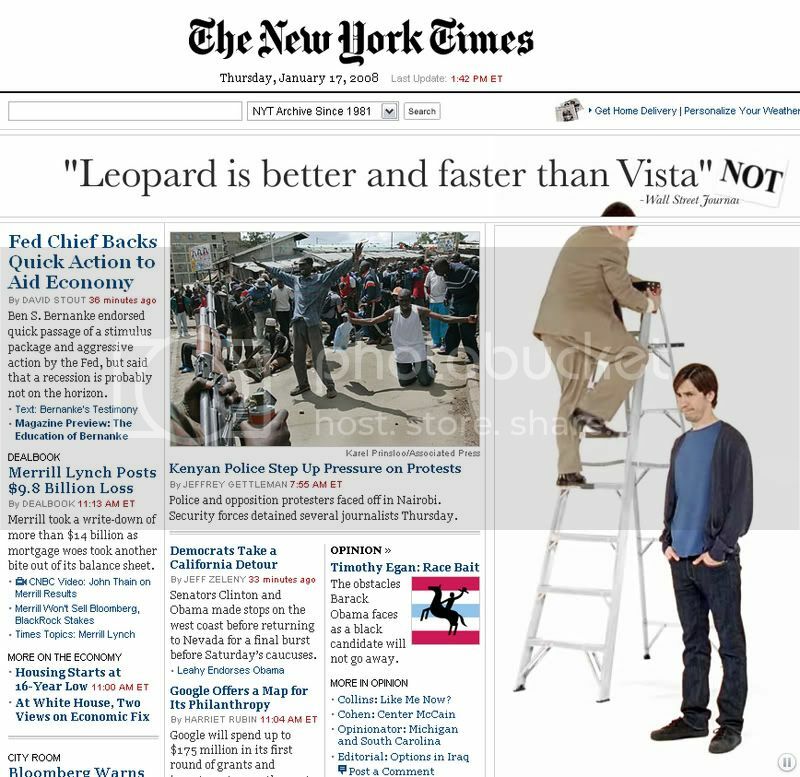 Apple Has Terrific Ad in New York Times: "Leopard is Better Than Vista"
Terrific ad on the New York Times homepage from January 17th that shows how brand advertising can be done correctly. It's smart, consistent with their TV campaign, and takes advantage of multi-ad sizes in a collaborative way. It really annoys me as a consumer and an advertiser when ads appear on the same page, in different formats (normally 728x60 and 160x600) and they are effectively the same ad.